This year’s auspicious Navratri is on the doorsteps of everyone. The festival will sweep nine serene days, where people will worship the deity Durga. The festival will be commemorated in utmost passion and joy in various part of the country. Despite of any religion, the festive seasons are considered as the perfect time to buy your property, as it is believed to bring wealth, fortune and prosperity to the buyers. In the verge of this Navratri span, the pioneer realty giants, Rise Developers has surfaced with a new residential project for you to cherish your auspicious occasion. The project is going to be perfectly nurtured in the dream location of NH-24, Ghaziabad. The name of the much awaited project is Rise Organic Ghar Ghaziabad, which has all the naturalistic elements to justify the organic living for you, as the name implies. The Organic Ghar will be the ravishing home for you, where your dreams and aspirations will sprout off. Covering across 5 acres, this Rise Group venture will consists of distinct sized 1BHK, 2BHK, 3BHK and 4BHK apartments which are available at affordable rates. In addition to its advantage of being modest in nature, Rise Organic Ghar also has opened precious bookings in the festive season. Starting with a feasible Rs 30,000 for the 1BHK apartments, Organic Ghar has unique offers for its bookings. The 2BHK, 3BHK and 4BHK apartments can be booked at exclusive prices of Rs 50,000, Rs 75,000 and 1.5 Lakhs respectively. 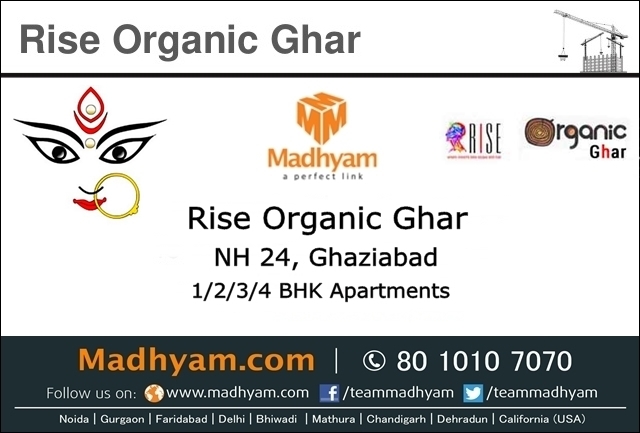 By availing the reasonable bookings of Rise Organic Ghar, you are embracing the fast developing NH-24, Ghaziabad. This location has been recently notched up its real estate market owing to the high flow infrastructure and closeness to the capital city Delhi and the supreme Noida. Now that the rates and location parameters are clear, you need to look at splendid provisions of Rise Organic Ghar. Being modest in its cost, Organic Ghar doesn’t compromise on quality of its plethora of features. This composes luxurious elements like club house, kids play zone, swimming pool, kids play area. Yoga and party lawns, gymnasium, indoor and outdoor courts, meditation garden and much more which will balance your luxury and peaceful living. Organic Ghar also has notable features like rainwater harvesting, 24*7 power backup, high tech security system and uninterrupted water supply, which are prerequisite for your flawless living expedition. When we analyze the accessibility of Rise Organic Ghar, NH-24 Ghaziabad is a budding location. The Rise Group venture holds close proximity to educational institutions like ABES Engineering College and Institute of Management Technology and many more. In one of the major highlight, the Columbia Asia Multi Specialty Hospital will perform well on your emergency situations. So putting in a nutshell, Rise Organic Ghar in NH-24, Ghaziabad will be the utopian venture. So grab your golden bookings as soon as possible and feel yourself blessed in the divine juncture of Navratri! 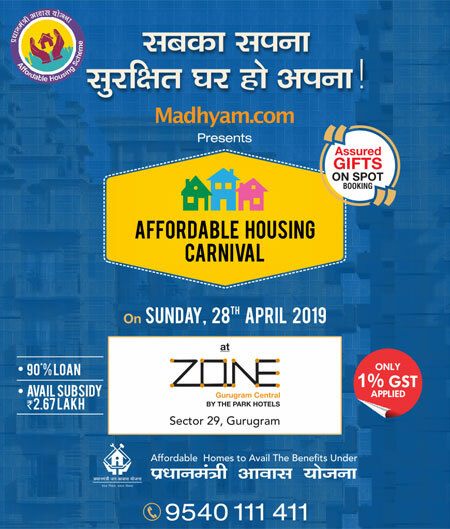 Why Affordable Housing Scheme In Gurugram A Blessing? Why You Need To Plan Your Affordable Home In Gurugram City? Why Vaastu Shastra Is Now A Day Considered Important For Commercial And Residential Space?